Dublin, OH, February 01, 2018 --(PR.com)-- Leona W. Ayers, M.D. of Dublin, Ohio has been recognized as a Top Executive for 2018 by Strathmore’s Who’s Who Worldwide for her outstanding achievements and high level of success for over 40 years in the field of education. Dr. Ayers is currently an Academy Professor of the Emeritus Academy at The Ohio State University (OSU) in the Department of Pathology, College of Medicine, in Columbus, Ohio. In 2015 she stepped down from full tenured Professor to join the Emeritus Academy. She holds a Certificate of Qualification from the American Board of Pathology in Clinical and Anatomical Pathology and has special expertise in infectious diseases pathology and research interest in HIV/AIDS related malignancies. Dr. Ayers participated in teaching Pathology to Medical Students, Pathology Interns and Residents, Medical Technology Students and as Graduate School faculty directed 26 graduate and professional students. Dr. Ayers has been funded by National Cancer Institute (NCI/NIH) grants for last 24 years to support research interests and HIV/AIDS related cancer diagnosis capacity building in the U.S., sub-Saharan Africa and India. As Principle Investigator (PI) of the NCI MR AIDS and Cancer Specimen Resource (MR ACSR/NCI), she organized and implemented the Sub-Saharan Africa Lymphoma Consortium (SSALC) with pathologist participants from East Africa (Uganda, Kenya), West Africa (Nigeria), South Africa (Johannesburg, Cape Town) and Europe. Dr. Ayers served as a leader in the first workshop in India on Research Methodologies for the study of HIV/AIDS associated malignancies. Over her career she has been an invited speaker for 256 presentations at regional, national and international meetings and workshops, presented or published with colleagues 226 abstracter/posters at national and international meetings, 110 peer-reviewed Journal articles and 14 book chapters. She has held membership and served the College of American Pathologist (CAP), American Association of Clinical Pathologists (ASCP), International Society Biological and Environmental Repositories (ISBER) and the United States and Canadian Academy of Pathology (USCAP). In addition to being a member of the medical staff of the Wexner Medical Center, Dr. Ayers is also consulting medical staff at The James Cancer Hospital and Solove Research Center where she has held various directorships and has practiced pathology in the areas of Clinical Pathology, Medical Microbiology and Infection Control. 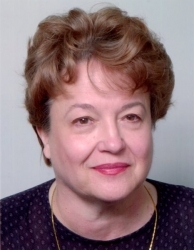 She currently holds medical staff privilege as “Physician Scholar.” She is a member of The Ohio State University Comprehensive Cancer Center (CCC), honored as an Outstanding Microbiologist in 1982, awarded the Earline Kutscher Memorial Lectureship in 1991, selected as Foundation Lecturer for the National Foundation for Microbiology Lectures Program for 1998-2000 and elected to the OSU Emeritus Academy in 2014. She was recognized on the Reuters Billboard in Times Square in New York City. After obtaining her B.S. in Zoology in 1962 from Duke University, Leona graduated with her Doctor of Medicine (M.D), with Honors, in 1967 from Duke University School of Medicine. She has been inducted into the Duke University School of Medicine Half Century Club. “People are forever interesting.” -Leona W. Ayers, M.D.